YORKTOWN HEIGHTS, N.Y. -- A race by U.S. tech companies to build a new generation of powerful "quantum computers" could get a $1.3 billion boost from Congress, fueled in part by lawmakers' fear of growing competition from China. Describing the inner workings of a quantum computer isn't easy, even for top scholars. That's because the machines process information at the scale of elementary particles such as electrons and photons, where different laws of physics apply. 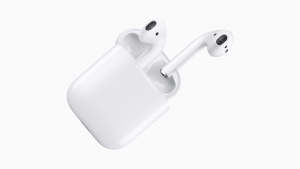 "It's never going to be intuitive," said Seth Lloyd, a mechanical engineering professor at the Massachusetts Institute of Technology. "At this microscopic level, things are weird. An electron can be here and there at the same time, at two places at once." 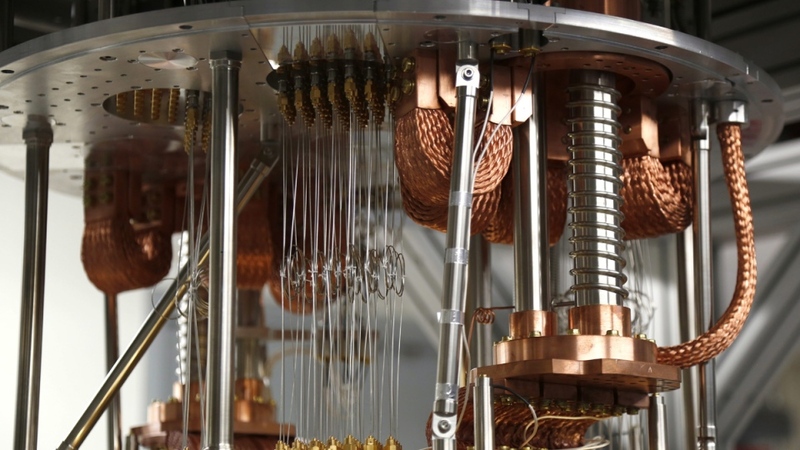 In theory, the special properties of qubits would allow a quantum computer to perform calculations at far higher speeds than current supercomputers. That makes them good tools for understanding what's happening in the realms of chemistry, material science or particle physics. That speed could aid in discovering new drugs, optimizing financial portfolios and finding better transportation routes or supply chains. It could also advance another fast-growing field, artificial intelligence, by accelerating a computer's ability to find patterns in large troves of images and other data. What worries intelligence agencies most about the technology's potential -- and one reason for the heightened U.S. interest -- is that a quantum computer could in several decades be powerful enough to break the codes of today's best cryptography. Today's early quantum computers, however, fall well short on that front. While quantum computers don't really exist yet in a useful form, you can find some loudly chugging prototypes in a windowless lab about 40 miles north of New York City. Qubits made from superconducting materials sit in colder-than-outer-space refrigerators at IBM's Thomas J. Watson Research Center. Take off the cylindrical casing from one of the machines and the inside looks like a chandelier of hanging gold cables -- all of it designed to keep 20 fragile qubits in an isolated quantum state. 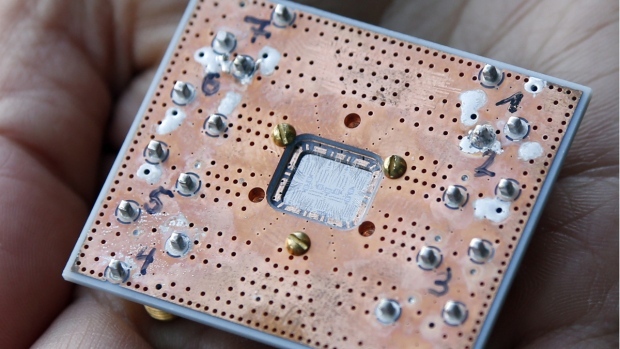 "You need to keep it very cold to make sure the quantum bits only entangle with each other the way you program it, and not with the rest of the universe," said Scott Crowder, IBM's vice-president of quantum computing. But qubits are temperamental, and early commercial claims mask the ongoing struggle to control them, either by bombarding them with microwave signals -- as IBM and Google do -- or with lasers. "It only works as long as you isolate it and don't look at it," said Chris Monroe, a University of Maryland physicist. "It's a grand engineering challenge." Monroe is among quantum leaders from academia and industry who gathered in Washington on Monday with officials from the White House science office. Some federal agencies, including the departments of defence and energy, already have longstanding quantum research efforts, but advocates are pushing for more co-ordination among those agencies and greater collaboration with the private sector. "The technology that underlies this area comes from some pretty weird stuff that we professors are used to at the university," said Monroe, who is also the founder of quantum startup IonQ, which floats individual atoms in a vacuum chamber and points lasers to control them. But he said corporate investment can be risky because of the technical challenges and the long wait for a commercial payoff. "The infrastructure required, the hardware, the personnel, is way too expensive for anyone to go in it alone," said Prineha Narang, a Harvard University assistant professor of computational materials science. By investing more in basic discovery and training -- as the House-passed National Quantum Initiative Act would do -- Narang said the U.S. could expand the ranks of scientists and engineers who build quantum computers and then find commercial applications for them. The potential economic benefits have won bipartisan support for the initiative, which is estimated to cost about $1.3 billion in its first five years. Also pushing action on Capitol Hill is a belief that if the U.S. doesn't adopt a unified strategy, it could one day be overtaken by other countries. "China has publicly stated a national goal of surpassing the U.S. during the next decade," said Texas Republican Rep. Lamar Smith, chairman of the House science, space and technology committee, as he urged his colleagues on the House floor to support the bill to "preserve America's dominance in the scientific world."